More than a third of Americans are obese. This equates to around 78 million people in the U.S. and that figure increases significantly at an international level. The good news is that obesity is preventable. It all starts with proper nutrition. Eating right is the number one factor in maintaining a healthy weight. If you are looking for a few tips on reducing your weight through diet, check out what I did to lower my body fat and you can also check out my review of the best diet plans for burning fat. After changing your diet, I would say having a good workout program is the next key. People often ask me ” what is the best exercise to lose weight?” Well, it’s more about your program than a single exercise but if you are looking for the most efficient way, then you’ve come to the right place. In this article, I will discuss the most effective fat-burning workout that will give you the biggest bang-for-your-buck as far as time. Most workout routines will fall into one of three categories. Some will fall into more than one, but for the sake of simplicity, let’s say there are these 3 types of workouts. In a perfect world with no time constraints you would use all 3 of these to get the unique benefits of each one, but if you are short on time, there is one that stands above the others. Let’s go over the main workout categories. 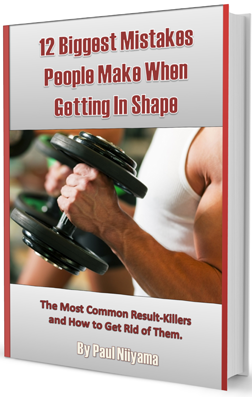 The first type of workout is where most people gravitate toward when they want to lose fat. It’s the Low Intensity Steady State (LISS) cardio workout. You’ve seen this at most gyms. You know the person walks or jogs on the treadmill for an hour or so. We used to call these people the Cardio-Kings or Cardio-Queens. LISS is not a bad thing. It does deliver good benefits and it has the lowest barrier of entry of any workout routine. Most people can walk or pedal a stationary bike. If you can do that, you can do LISS. Most people opt for a LISS type of workout because it is easy. This can be a benefit for some and will help with consistency. Some people won’t work out if they think it’s too difficult. The drawback to a LISS workout is that it takes a lot of time. Most people will do a cardio workout for at least 20 minutes but some will do it for more than an hour. In the grand scheme of things that is not too long but there are quicker workouts that are more effective. The next type of workout is the weight lifting workout. This type of workout also provides a lot of benefits and if I had to pick one, this is my favorite type of workout for burning fat. I like lifting heavy because it builds strength and muscle and these help to burn fat. More muscle also means a higher metabolism which means it will be easier to keep the weight off after you lose it. Some people fear weight training because they think it will make them big and bulky. If you are doing it right, along with a good diet, you won’t get big. The drawback to lifting is that it can be dangerous if you do it wrong. Technique is important and most people never learn the proper way to lift. The other barrier that most people need to overcome when lifting is muscle imbalances. Most people are so sedentary that their bodies have forgotten how to move properly. If your body is moving wrong, adding weight to it will only make it worse. A good trainer can help a person to overcome both of those things, but weight training also takes some time. When I lift I usually spend at least an hour in the gym and I usually spend an hour with each client. The time to lift may not work for some people’s schedules and if that is the case than I recommend the last workout category. If you are looking to lose fat fat, High Intensity Interval Training (HIIT) is for you. It doesn’t take a lot of time and it delivers great fat-burning and cardiovascular results. A good HIIT workout will take less time than a LISS or weight training workout. A HIIT workout involves a maximal effort, high intensity period followed by a low-intensity or rest period. The high intensity period usually lasts anywhere from 10-30 seconds and the low-intensity/ rest period can last anywhere from a few seconds to a few minutes. You can use many different modalities for a HIIT workout. In the gym, I like the stationary bike because I can pedal as hard and as fast as possible during the max effort period. You can also use a rower, an elliptical, a jump rope or run on a track. You can use whatever you have available, as long as you can put the maximum effort into it. This is the reason I don’t like using treadmills for HIIT since you can sprint as fast as possible on one. Because the workouts are so intense, you only need to them 2-3 times a week and they only take 15-20 minutes as opposed to an hour. The time it takes to do a HIIT workout is one of the major draws of this workout. If you think about it, the actual work-time for 5 rounds could possibly be only be 2 1/2minutes. The rest of the time you are recovering. That means in a week you are only spending about 7 1/2 minutes doing actual work. That is crazy for the amount of results that HIIT offers. HIIT training is definitely not for everyone. These workouts are brutal. If you are out of shape, I would recommend starting with some LISS. You need maximum intensity for a HIIT workout and that can be dangerous if you are de-conditioned. Although these workouts take less time, they are a lot harder. This may deter some people from being consistent with them. LISS may be more appealing to some because of it’s lower intensity. If that is you, than just be prepared to spend more time with your workout. The other main drawback to HIIT is the recovery time. Since this workout is very taxing on the Central Nervous System, you need adequate rest between workouts. There are some people that like to work out all the time and it’s not recommended to do HIIT every day. In this case you may want to perform a LISS workout aimed at recovery instead of cardio on the off-day. You don’t have to take my word about the benefits of HIIT training. There are numerous studies that show the benefits of HIIT. I could go on and on listing studies that show the effectiveness of HIIT but I’m sure you get the idea. Let’s move on to some more visual results. There are benefits to both HIIT and LISS although there is plenty of research evidence to show that HIIT is more effective than LISS in burning fat. Which one you choose depends on your goals, time, and current fitness level, but let’s look at some real world results. HIIT would be similar to what a sprinter does and LISS would be more comparable to a long distance runner. This is not scientific in any way or proof that one is better than the other but let’s take the eye-test to the best runners of all time and let you decide. They are all amazing athletes but what body-type you think looks more ripped and in overall better health? On the left are the sprinters, Usain Bolt and Florence Griffith Joyner. These are the fastest humans ever in both the 100m and 200m. Both Bolt and Griffith Joyner hold the world records in both events and no one has even come close to their times. On the right are the distance runners, Dennis Kipruto Kimetto and Paula Radcliffe. These are the top-of-the-food-chain marathon runners. Kipruto Kimetto and Radcliffe are the female world record holders in an official marathon of 42.195 km. Looks are subjective so what looks good to one person may not look good to another, but I know which body-type I think looks better, and healthier. There are a lot of HIIT workout programs that are effective. The main principle to keep in mind with any program is the principle of progressive overload. This means that over time your workouts need to get harder and harder. The first thing you need to do when starting a HIIT program (assuming you can handle it) is to figure out what activity you will do. This can include sprinting, burpees, rowing, cycling, boxing, sled pulls, prowler pushes, battle ropes, kettlebells… or whatever you like best. Just make sure it is something you can give your maximum effort in. So let’s say you choose to sprint. A HIIT program needs maximum effort. That means you need to run as fast as you can for the sprints. Not jogging, not running…. sprinting. The next thing you need to figure out is your periodization. This is how long your max effort phase is and how long your rest period is. There are many options you can go with here. 30 seconds hard and 2 minutes rest is a good one. The Tabata-style uses 20 seconds hard and 10 seconds rest. It doesn’t really matter what periodization you start at, the main thing is that you know where you are starting so you can make it harder over time. Some things to keep in mind when putting together your program is your current fitness level. If you are out of shape and want to give HIIT a try you can start with something easy. If you are an elite athlete your max effort phase may be longer and your rest period may be shorter. Another thing to keep in mind is your goal. What are you training for? If your only goal is fat loss then anything that challenges the body will give you good results. If you are an athlete, then you need to consider the demands of your sport. If your sport is endurance-based then HIIT may not even be for you. LISS, weight training and HIIT are all good types of workouts and can all aid in fat loss. They can all be used together to maximize the effectiveness. If you had to limit yourself to only one though, HIIT will get you the most fat burning in the least amount of time. Since consistency is so important, the workout you choose should be something you enjoy so you can keep doing it long-term. Even though it may not be the most effective, if you enjoy LISS, then do that. If you are like me and like to lift, then do that. The point is to do something. 1 or 2 hard HIIT workouts won’t do too much if you quit. Doing something is better than nothing. Get out there and move. Don’t settle for being average. So go get to work. If you haven’t already subscribed to my newsletter you can do it by clicking here and get my free ebook in the process. You can also find me on social media and ask me a question or start a conversation. The link to twitter is here and the link to facebook is here. Go out and be amazing, live to your potential and don’t just live life… Go SMASH IT!